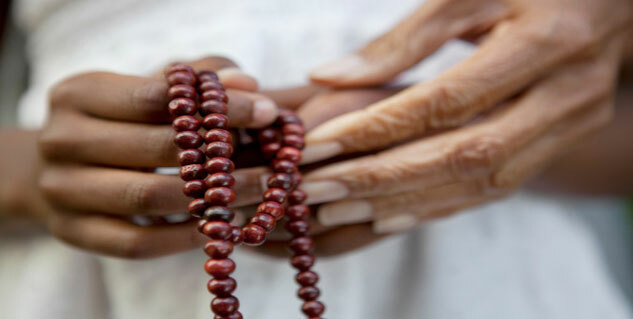 Spirituality helps to cope up with illnesses, stress and depression. Spirituality has a positive effects on the overall personality. Spirituality reduces risk of self destructive behavior. Studies suggest being spiritual makes you live longer & calm life. A growing body of research proposes that being spiritual helps to cope up with illnesses, stress and depression. Although, it doesn’t literally cure an illness, it surely does have positive effects on one’s overall personality. Many medical researches suggest that practicing spirituality reduces risk of self destructive behavior and also helps in restraining people from smoking or substance abuse. Other studies too imply that people who regularly follow spiritual practices have a longer, calm life. Here are some benefits of being spiritual on your body and mind. According to Gail Gross, PhD, EdD, a family psychologist in Houston, by giving yourself up to a superior power, you gain a sense of control, which has a positive effect on your cognitive abilities as well as general well-being. Being in such a state distracts you from negative thoughts, making your blood pressure level go down, enhancing your memory and clearing your thoughts. People, who pray, meditate or even take a walk in naturesque places, experience a boost in their immune system. According to Kelly Turner, PhD, a New York City-based cancer researcher, it is not what one believes in, but what one practices that eventually makes the difference to the body. “While in deep prayer or meditation, your fight-or-flight response goes off and your rest-and-repair turns on”, she said. This lets the immune system to supercharge the entire body, thereby healing all wounds incredibly, “whether you are under stress, have an actual illness or are trying to prevent illness or stress”. Spirituality can be pretty helpful to caregivers, who have to deal with a lot of demands in the form of emotional, physical and financial stress, all of which can actually increase personal health risks. Dr. Roberta Lee, author of The SuperStress Solution, says that people are able to cope with stress through spirituality because when they are in deep prayer, they get connected to wider world, which helps them to stop trying to take control of things by themselves. Feeling like one is part of a bigger whole helps people to understand that they are not responsible for every wrong thing that happens to them. Being spiritual helps in providing a sense of hope and counters bleakness that is linked to depression. According to Rev. Kevin Massey, MDiv, BCC, vice president of mission and spiritual care for Advocate Lutheran General Hospital in Park Ridge, Ill, it is natural for humans to get stuck in a moment and think about a past in which they were probably stronger. Spirituality helps them get out of the ugly moments and come out happy, feeling fulfilled. The subject of spirituality can get quiet challenging as some people associate spirituality strictly with religious beliefs, while others relate it with nature, meditation inner peace, art and harmony. But, at the end of the day, it is liberating.